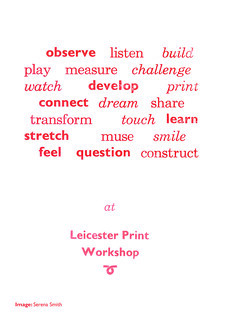 For this year’s Members’ show, we are inviting LPW Artists to propose print based artwork, events, performances or other activity that explores the idea of a response through time. If you are a LPW Artist and would like to take part, please download and read the Antiphony Proposal Guidance. The deadline for submitting proposals is 18th June.